Fa, La, La! No matter if it’s after work or during the work day – you can be office holiday ready! This festive plaid wrap top and wide leg trousers are chic, professional and look good on just about everyBODY! 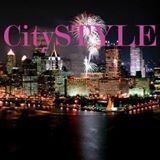 Previous Previous post: CitySTYLE’s Holiday Gift Guide!